Bigfoot Tracks Found in Myakka? These prints were found in Myakka, Florida. This place has been a hotbed for Sasquatch activity this past year. The Stacy Brown Footage was taken in Myakka State Park about a year ago and other tracks were discovered this last March. 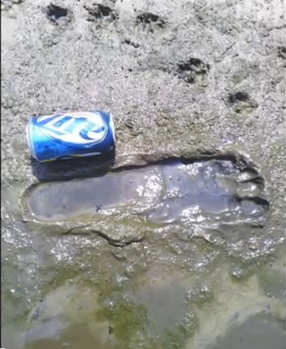 New Bigfoot tracks found in Myakka Florida? Are they real? you decide!! Subscribe to our newsletter to get the latest posts to your inbox. Is The Show Mountain Monsters Fake? Todd Standing Bigfoot Hoax Busted? Is Todd Standing The Man Behind The Mask?